Everyone knows the situation where you can’t log into a system because you have forgotten the password. The following article explains how to reset the password and regain access to VMware vSphere 6.5 core components including vCenter, SSO and ESXi Hosts. 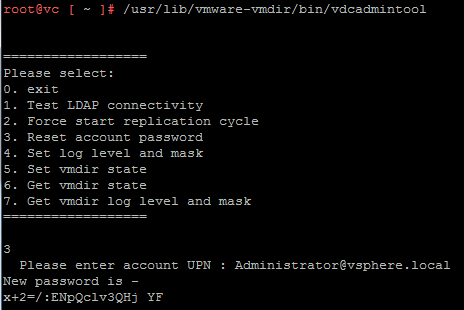 The following method provides steps to recover the vCenter Server Appliance (vCSA) root password. The process is slightly different compared to previous versions as the OS has been changed to PhotonOS. The method is officially supported by VMware and documented in KB2147144. Take a snapshot of the vCSA to be able to rollback in case of any problems during password recovery. Connect to the ESXi Host that runs the vCSA and open a remote console. Verify that you can log in with the new root password and delete the snapshot created in step 1. The following method provides steps to recover the SSO administrator password on a vCenter Server Appliance (vCSA). The method is officially supported by VMware and documented in KB2146224. The tool generates and displays a new password. 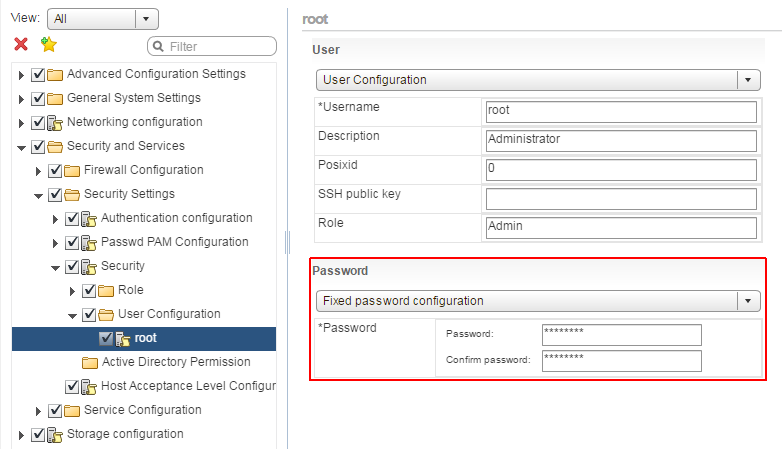 Use the password to log in with the vSphere Web Client and change the password. The vCenter uses a vpxuser to communicate with ESXi hosts, so it does not depend on the root account. 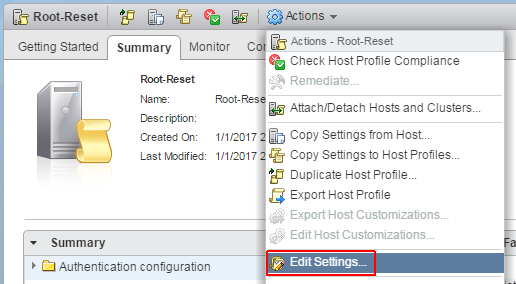 As long as the ESXi host is managed by the vCenter, you can change the configuration without knowing the ESXi root password. This method works with all ESXi 5.x and 6.x versions. Set the Password configuration to Fixed password configuration and enter a new password. Finish the remediation wizard. The remediation should take less than a minute, no reboot is required. When you don’t have the Enterprise Plus license, you can join an Active Directory to regain administrative access to the ESXi host. This method circumvents the limitation that root PW recovery is not supported. When you need to recover root access and the methods above are not applicable, the last method explains how to reset the root password with a Linux Live CD. Please be aware that this method is not supported by VMware as KB1317898 states: “reinstalling the ESXi host is the only supported way to reset a password on ESXi”. You can use any current Linux Live CD or installer CD that has a recovery mode. In this example I’m using Knoppix. We are looking for the first fat16 partition with a size of 262MB. IT should be number 5. Verify that there is a current state.tgz in the directory. The state.tgz file contains the local.tgz file which contains the configuration. Extract both to a temporary directory. Reboot to ESXi. You should be able to access the DCUI or log in as root without a password.